Log in to the included phpMyAdmin application using these instructions. Select the application database in the left navigation menu. 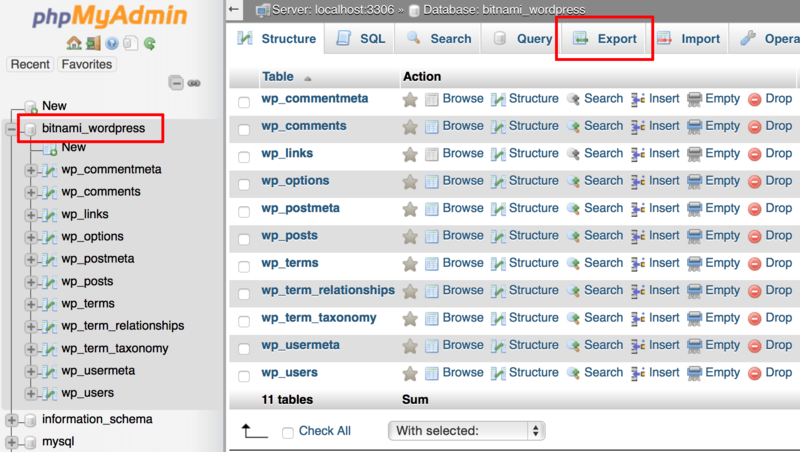 In this example, the database is named bitnami_wordpress. Select the “Export” menu item. 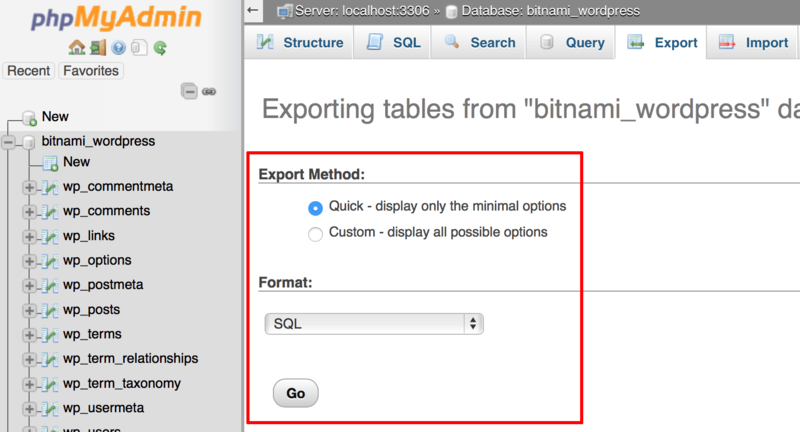 On the resulting page, select the “Quick” export method and the “SQL” output format. An SQL export file will be created and downloaded to your desktop. Store this file carefully, as you will need it if you plan to later import the database back into MySQL.